Here are some things to guide your conversation around cannabis policies. Consider your industry. Safety rules will differ for use and possession based on the industry and perhaps the specific job duties. Consult your legal team and outside experts to understand testing and screening options. Few states have legal limits in place, and compliance with laws around sanctioned medical use complicates things further. Crosscheck where you employ people. 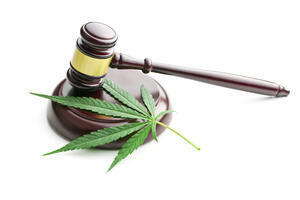 While some state laws have changed, federal law still classifies marijuana as a controlled substance. For employers with employees in multiple states, that means understanding the different laws and regulations in place and crafting policies that align to them. Collaborate with your community. Now would be a great time to reach out to other business owners, the local medical, or recreational cannabis stakeholders. Share resources, ideas, and best practices. Consider offering counseling. While legal use may be expanding, substance abuse is still a very real challenge. As an HR team, be sure you have resources and information available for anyone who is concerned about their marijuana use. Make sure any policies about substance abuse treatment are updated to reflect any legal changes.